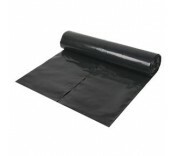 Clear polythene sheet is ideal as a dust cover during decorating, building and diy work. Suitab..
For general frost and moisture protection BBA Approved 4m x 25m 250mu (1000 gauge) ..
For general frost and moisture protection BBA Approved 4m x 25m 300mu (1200 gauge) .. Currently stocking two types of polythene sheeting, designed to effectively and unobtrusively protect surfaces from dust, and damp conditions; our protective products are designed perfectly for temporary coverings. Whether you are carrying out building, DIY or repair work; our polythene sheeting helps keep home and garden surfaces protected from obtrusions and damage. The sheeting can be used both vertically and horizontally, protecting windows and wall surfaces effectively and efficiently. The light weight sheeting is simple to implement and to remove; ensuring even the least experienced of DIY enthusiasts can erect it quickly and accurately. Both of the available polythene sheeting options measure in at 4m x 25m. Contact our dedicated sales team to determine how many sheets will be necessary to complete you job and protect the entirety of the surface that you wish to cover. As well as being used indoors, the polythene sheeting is also perfectly poised for use in the garden or on an exposed site. The damp-proof surface ensures that water does not damage the surface that it is covering. The sheeting can be simply cut to the shape and size necessary for the job at hand, to ensure that no part of the surface is left exposed. The sheeting can be re-used numerous times thanks to its easy-to-clean exterior. At Manchester Safety Services, we stock polythene sheeting in both clear and opaque colours. This allows natural light to be blocked or allowed, depending on the preference of the user.